In September of 2018 Ringlet worked with client Ivy Wild to host this Best of Fall Beauty Event to help establish a personal understanding of their target audience and to establish better brand awareness within the DC local community. Ivy Wild brought more than just clean make-up into fall as they celebrated the Best of Fall Beauty with the release of three new fall beauty kits. Designed for the Athlete, the Overworked, and the District Artistic, each kit includes three essential, high-performance clean beauty products to help you transition to fall. The lucky attendees were able to shop the kits and receive a Natural Definition Eye Pencil from Alima Pure as a gift with purchase. Ivy Wild is a clean beauty boutique carrying non-toxic skin care and clean makeup products that fuse a love of performance with a bit of edge. It truly was a proper welcome for Ivy Wild to the Manhattan Laundry 'hood! 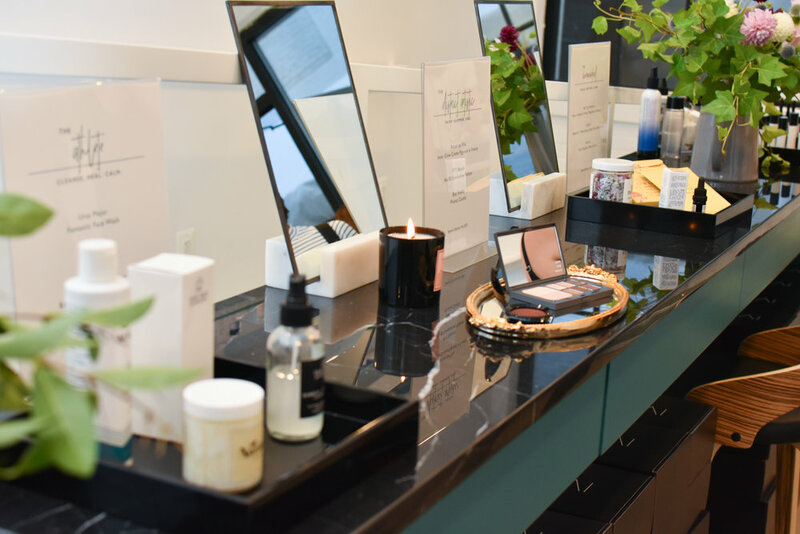 While sipping signature drinks from Sip City and testing some treats from Sweet Crimes you could find people browsing Ivy Wild’s collection of clean and non-toxic skincare & makeup.